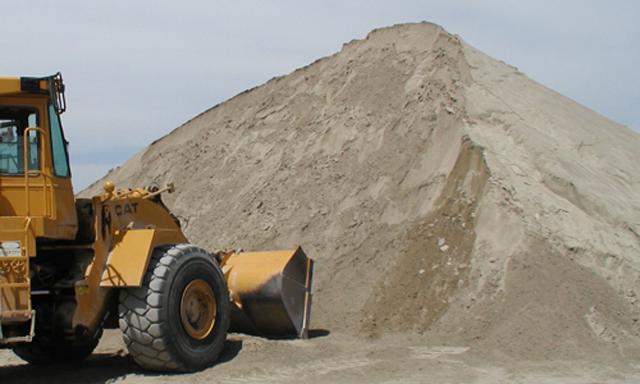 At Oshawa Sand Gravel Supply we carry a large assorment of products. To get more information on any of our products simply click on the + to view the full item in that category. Natural screenings used under interlocking brick and patio slabs. Used as backfill around houses, septic beds. 1"-3" mix, 1"-3" red, 4"-6" mix, decorative round stone used for landscaping. Also known as granular A. This product is a mixture of sand and 3/4 stone that is used as a base for interlock as well as in the mixing of concrete. 3/4 inch stone that is used for drainage in new foundations and around weeping tile. It is more rounded than the 3/4 limestone and is therefore easier to shovel. Driveway topcoat, compactable, standard "new home" driveways have this material. 3/8 to 5/8 in size, drainage stone, also used as driveway topcoat. Used under concrete in construction, for weeping tile, for drainage. Used under interlocking brick and patio slabs. This is a small round stone that is used in childrens' playgrounds and for roofing. Screened topsoil is a soil that goes through a screening process to eliminate rocks etc. Triple mix topsoil is our screened topsoil mixed with compost from the Durham Region green bin waste. This is an excellent product for gardens and lawns. Compost is a product made from the green bin waste. Its a great product to mix with existing soil that you already have. Mix it into gardens, flower beds and even use it to top dress your lawn. This product is used in the construction of septic beds. This a tiny clear stone chip that is used in place of screenings . It is used underneath patio slabs and interlock brick, It does not require compaction, which is a huge advantage because there is no need to rent equipment. Clean sand, mixes with mortar for laying brick, underneath pool liners, in sand boxes. We crush concrete into ¾ crush and 2” crush. This product can be used as a base for driveways and landscape projects.